This is a fairly simple hack. Therefore, we have taken the time to do it properly. It is almost production-ready and, unlike most hackathon demos, it works well. 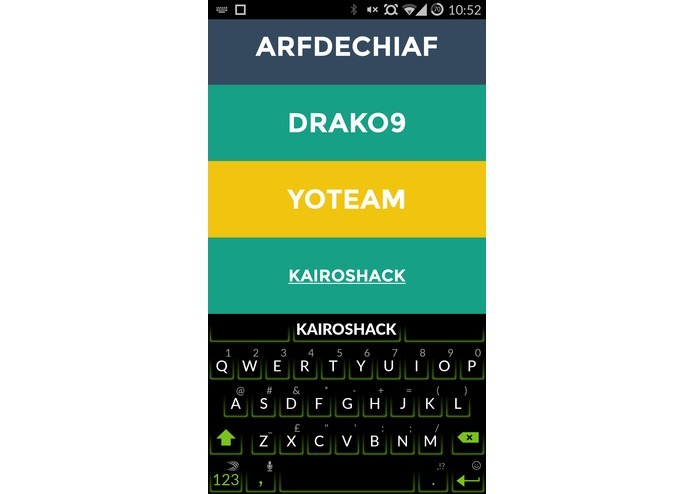 Thanks to Yo's extensibility with web pages, our hack looks and feels like a part of the app. Sometimes you want to meet with friends and you just want to know a place to meet. This is the quickest way to find it. 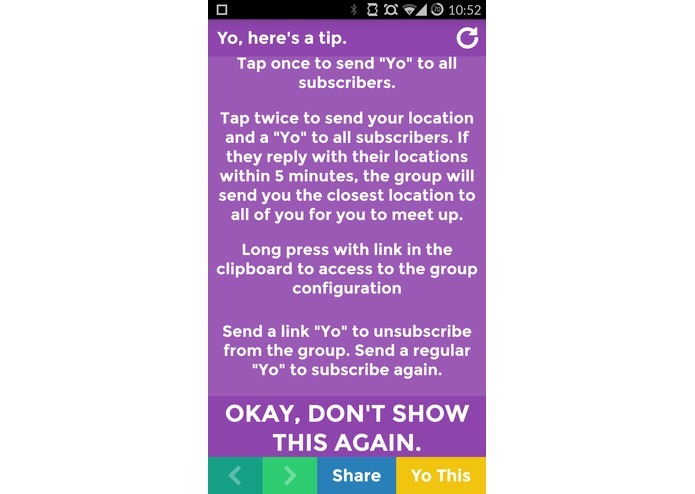 You may also want to just "Yo" a group of friends all at the same time. 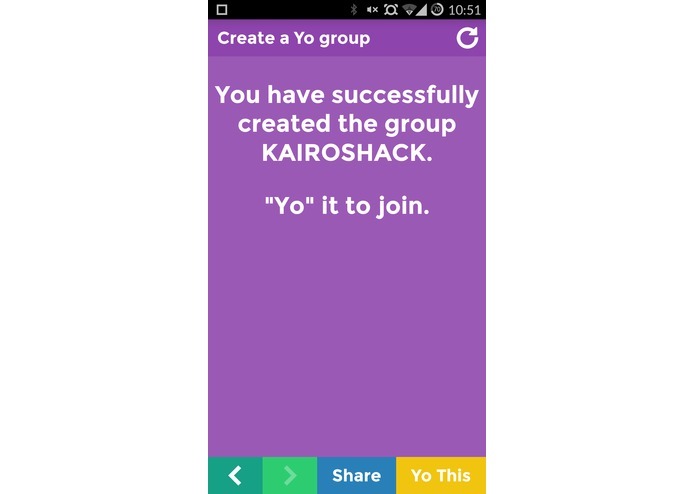 You can also join our group KAIROSHACK. 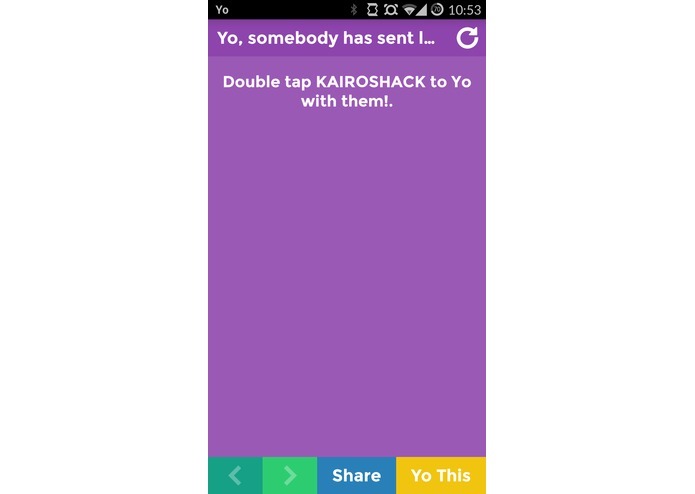 Instead of messing around with chat, you just "Yo" your friends with your location (double tap the group name). If they respond within 3 minutes with their locations, all your locations are aggregated in a way you can choose. 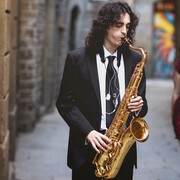 The resulting location is sent back to everyone. The meeting place is decided, in JUST TWO CLICKS! If you send a link to the group (have a link in the clipboard and hold your finger over the group name), you can access the group settings. These include: how the locations are aggregated average (group member closest to average location, first user to send location), and a button to exit the group. It was a very fun hack. We laughed and yo'd (verbal, no app) each other continuously during the first two hours. This is definitely something we will use after the hackathon, and at the very least we will try to convince our friends.